Our ideas are our babies. We are extremely attached and biased towards it. Every idea is a great idea till the customer punches it on its face. Its extremely important to understand any business idea from a problem solution point of view. I used the methods mentioned by Eric Ries in his book ‘The Lean Startup’ to objectively validate my idea, measure customer feedback and iterate in the process of building a solution towards it. Finding ones ‘Ikigai’ – a Japanese term which focuses on the intersection of passion, purpose and profit can help in committing to a mission, knowing that it takes years to create something meaningful and impactful. In my case, I was a single non-tech founder and I needed to build and validate the MVP quickly and cost effectively. The initial prototype of the product was outsourced so as to validate my idea. It was only after this that I hired my tech team to further work on the product. Creating awareness about a new product or service is one of the biggest challenges for any startup. I managed to get the website up but now how do I validate it? How would I know if users would actually find it useful or not? There was no marketing, no one knew about the website. I started calling up local listings of people interested in selling their devices and asking them to check out the website. One person found it interesting and confirmed the order to sell his device. Awesome! However, how do I fulfil the order? I had no logistics partners, no payment mechanism. So, I went myself to collect the device and complete the transaction. Initially, I wore many hats – these included tech, marketing, product design, finance, sales, delivery and packing. I was able to resell the device online at a profit and that’s how the journey started. It is a slow and time taking process to optimize a website for SEO (search engine optimization), building links and achieve a top ranking on Google for relevant keywords. Organic SEO has worked well for us as customers with the relevant intent are able to discover our website and transact with us. We have tried various digital marketing agencies but what worked best was to obtain sufficient knowledge about how SEO works and get our own team members to implement it. I follow various online blogs on digital marketing to keep myself updated with it. I recommend Neil Patel’s Blog which has proved useful for me and inturn, my company. How many users return back and transact with you? How many users talk about your product/service to their peers? Partnering with other companies that are targeting the same user segment has worked very well for us. In most cases, startups can look at partnerships as an option to acquire customers. Recruitment is one of the most important responsibilities of a founder, especially at an early stage. There is no science to recruitment. On the job experience, interviewing a large number of prospective candidates, and reading and learning from others’ experiences have helped me in this. Angellist and referrals have worked as good options for me to find relevant candidates without any cost. Coworking spaces were not as prevalent as they are now when I had started. Our initial office space was a shared one with another startup to save on cost. Depending on the business requirement, choosing the right location can make a big difference as well. I chose Koramangala in Bangalore as the best option as it was the centre of startup activity and was in close proximity to some of the partners we were working with. Frugality and getting the most bang for the buck is something I have always believed in. Most of the equipment including furniture, laptops, mobiles, and other office equipment we use is second hand. 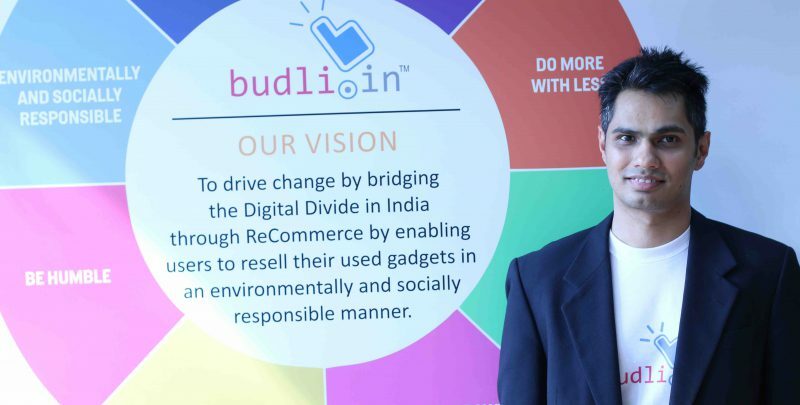 Of course, it helps that Budli.in is itself dealing in used gadgets. Nevertheless, we also work with many startups providing them refurbished laptops and refurbished mobiles with warranty and guaranteed buyback with cost savings of upto 66% compared to new or rented ones. “Top line is vanity, bottom line is sanity and cash flow is reality.” This is true for most startups who need to be very efficient with managing the cash flow and it is important to have this discipline inculcated from the very beginning. Many startups outsource their accounting/finance function to a third party at an early stage. This is fine as long as the founder is aware of everything and not completely dependant on the person managing it. One needs to factor in changes in staff who is handling accounting/finances, which is common, and processes need to be set to accommodate for it. Keeping a monthly compliance calendar and monitoring it has helped me. Every founder is also an investor in his/her startup. Apart from money, the most valuable resource, time is being invested by the founder. I have found it useful to question every important decision in terms of investment of time or money as to what is going to be the return on investment of the required resources. This also helps in prioritising and choosing between the need to do and the good to do. This has helped us in creating awareness about our company at an early stage and establishing credibility. Instead of hiring a PR agency, I have focused on connecting with journalists and writing and publishing articles in reputed media. This further instills a sense of trust amongst customers who might hesitate in transacting with an unknown entity. I have built up a network by attending and speaking at events, connecting with people on LinkedIn and joining groups for entrepreneurs and businesses. LinkedIn is an excellent tool to keep connections informed about latest updates. Some of these contacts have converted to customers at a later time and some have referred us to their contacts, helping generate business. Check out this list of five pitfalls to avoid as a startup entrepreneur.